Distinguished Ministers, distinguished Representatives of the European Commission, dear guests and members of the press, I would like to thank you all for participating in this ceremony hosted by the Ministry of Economy. I also would like to greet you with due respect in this meeting for the opening of SME Networking Project. As you all know, we are in a new period. We have great targets for Turkey. As the Ministry of Economy, we are excited to be working in this new period in order to reach these targets. We are happy to be moving towards these targets. As the Ministry of Economy, we have big responsibilities. Today, Turkey is the 16th largest economy in the world and the 6th largest economy in Europe. Following the economic growth rate reached in the first quarter of 2011, Turkey attracted the attention of the whole world. This success is not a coincidence. This success is the outcome of our economy policies as well as foreign trade initiatives. It is because these policies and initiatives have been managed on an analytical and strategic basis. The aim of the Ministry of Economy is to become one of the 10 largest economies of the world by 2023, the 100th anniversary of the Republic of Turkey, and to bring our annual exports up to 500 billion dollars through an export oriented production structure. Interpreting correctly the rules of the global competitive environment and understanding the change lie behind reaching this target. I believe that Turkey has interpreted and understood correctly this competitive environment and this change as our annual exports of 36 billion dollars in 2002 rose up to 132 billion dollars in 2008. I also strongly believe that our strategic decisions in the next 12 years will enable us to reach our targets. Distinguished participants, Heraclitus said, -The only constant is change-; and today the rules of the competition throughout the world change day by day. Trade agreements and developments in the transportation and communication sectors have considerably reduced the obstacles before the global trade. The rules of the global competition entail strategic positioning and becoming distinct in production processes. Although it seems that countries are competing in the global economy, the actual competition is between innovative regions specialized in using technology more efficiently and producing information as well as technologies. Through our project -Foreign Trade Potential of Each Province-;, we have identified in which fields of the export our provinces came to the forefront throughout Turkey. We have also identified with which countries our provinces fit in terms of exportation. Thus, we have created a road map for our companies regarding the fields they can work more efficiently in and they can invest in. We have identified our regional economic power and the globally important fields we have specialized in. Through our projects -Repositioning of Turkey in International Trade – New Routes in International Trade-; we have analyzed 1243 sectors in 73 countries. We have created a map concerning the positioning of our sectors in global environments and new initiatives to be strategically launched. We have been carrying out very important activities within the scope of our economic goals. We strongly believe in the importance of knowledge and we are aware of the fact that it is necessary to be a society producing knowledge for sustainable growth. Today, at the opening of the SME Networking Project, we are well aware that the objectives of this project would bear considerable outcomes for Turkey. We believe in the power and effects of projects. Also, we attach importance to a sustainability-oriented perspective. 2 years ago, we shared the outputs of the Development of a National Clustering Project financed by the EU funds at the closing ceremony of this project. During that ceremony, we stated that we considered clustering as a tool for economic development and that our vision was to reflect what we had learned from that project on our policies. As a matter of fact, by means of the Development of a National Clusters project, we achieved great progress in terms of raising awareness concerning clustering and creating a common language in this sense. We prepared road maps for pilot clusters. In accordance with our principle of sustainability, we didn’t leave these road maps incomplete. We have used our experience in clustering for the policies of Export Subsidies. As part of our clusters-oriented perspective which is based on target market and target sector as well as tailor-made practices, we put the subsidy mechanism “Declaration on Supporting the Development of International Competitiveness” into action on September 23, 2010. Within the scope of the Declaration on Competitiveness, we have provided support to 48 projects of various cooperation organizations up until now. By this means, the cooperation agencies created a common vision based on the common problems and opportunities of companies. Thus, they offered tailor-made solutions to the problems of the companies under their roof and mobilized local dynamics and these were the exact objectives of our Ministry. As to the SME Networking Project, we have designed it as an output and practice in the implementation phase of the Development of National Clustering Project. We have designed our project by identifying 5 target provinces (Çorum, Gaziantep, Kahramanmaraş, Samsun and Trabzon) among the provinces within the scope of the Regional Competitiveness Operational Programme (RCOP). While choosing these provinces, we took such criteria as the number of exporting firms, the total exports of the provinces, exports per capita, the state of being an attraction center and the presence of Business Development Centers (ABİGEM) into consideration. However, I would like to emphasize that the provinces we have selected are pilot provinces for the project. So our other provinces will benefit from the project outputs within the scope of the project component that aims at developing sector-oriented interregional cooperation. Our project team initiated the preparation phase of the project in March and they have taken concrete steps in the first three months following the initiation of the project. Following the procurement of equipments, infrastructure activities for establishment of the Clusters coordination offices have been completed to a great extent. These coordination offices will be affiliated to Chambers of Commerce and Industry and Exporters’ Associations. We will accelerate these activities by delivering the minibuses to the presidents of the Chambers and Exporters’ Associations. Sectoral strategic activities that will be carried out in collaboration with Coordination Offices have also been initiated. As the Ministry of Economy, we attach great importance to concrete results of this project the first steps of which have just been taken. We know that our firms need to increase their international competitiveness in the sectors they are active and to constantly follow the changing needs in target markets in order to maintain their export levels. They also need to overcome their deficiencies in production and access to market, and to maintain efficient communication as well as cooperation with all the actors that affect their competition. Producing and sharing technology and information based on a common vision in order to realize common national objectives, enhancing specialization and transforming regional opportunities into national competition opportunities in target markets will provide the relevant companies with strategic competitiveness all over the world. Turkey, a productive and dynamic country, will soon be one of the leaders of the international export thanks to her qualified labor force. In addition, this will be ensured by all the regions of Turkey, which produce technology and information and supply infrastructure. We are advancing with the active participation of all the actors. Our development plan covering the period from 2007 to 2013, has created a vision of “a Turkey which grows sustainably, distributes the revenue more fairly, is globally competitive, is transforming into an information society and has completed the process of adaptation to the EU”. During this process, an economic development approach based on regional development and cooperation between governmental institutions, companies, universities, education and research centers, non-governmental organizations has been adopted. There is no doubt that one of the most important indicators of regional competition is export capacities of enterprises. Firms that can produce high quality products at low cost and can export their products create added value and affect the economic development. Therefore, factors influencing export should be developed so as to increase economic growth. Export and Regional Development Strategies cannot be considered separately from each other. Our Ministry follows a comprehensive strategy covering business environment and regional dynamics beginning from the pre-production to the production and marketing processes as well as the introduction of the products into the market. This strategy aims that the industrial production structure of Turkey becomes export-oriented. 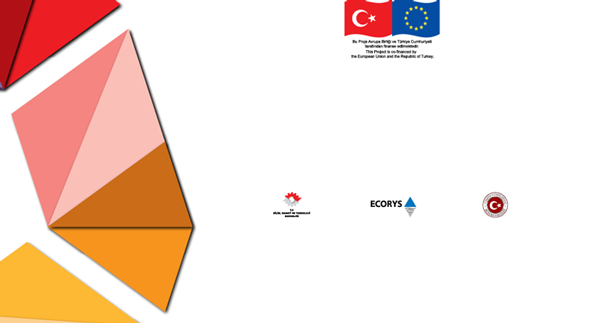 Today, more than %95 of all the enterprises in Turkey are SMEs; however, only %35 of these SMEs can export. Research suggests that the biggest problems that SMEs are confronted with are obstacles before reaching resources and information. Another factor affecting the export capacity is quality. Also, the SMEs’ need for qualified personnel influences the export. Our vocational high schools and universities should be able to develop curricula that would meet the needs of the enterprises. There is a need for target oriented cooperation between our education institutions and the institutions that have the knowledge our firms need in terms of market, qualified personnel and quality management. We are aware of our needs. We aim that sectors which come to the forefront regionally become globally competitive. We also would like to ensure that more and more Turkish companies export in a quality and sustainable manner. At this point, it is important to identify the potentially competitive sectors in the priority regions in terms of development in order to ensure regional development and increase competitiveness. It is also important to initiate activities in order to bring together the sectors that could provide help to these potentially competitive sectors. Strategies promoting sector oriented regional cooperation will enable our firms to be more innovative, to develop more and more service and to compete in global markets. This project will contribute considerably to these objectives. It is necessary to take the needs and demands into consideration in all the processes regarding the development of firms, production plan, production and introducing the product into the market. In other words, export strategies should be “Market Oriented”. We should identify the factors to be changed in processes for planning, production and releasing products to the market. It is also important to know how to get the complementary power that we need. Such a strategy requires that multiple actors have the capacity to act conjointly. As the Ministry of Economy, we are taking big steps by means of an approach that helps us follow changing global balances and create interregional cooperation as well as competitive power. Balances, realities and production – consumption relationships are changing in the world. It is necessary to keep up with the changing rules of the commerce and new trends around the world. It is the consumers who set up rules. In order to keep up with the change and to be able to compete; it is necessary to become different, to brand and to “To Deliver Outputs of High Value-Added by Using Innovative Ideas”. In short, it is necessary to develop the ability to quickly respond to the change. I would like to emphasize a point that shouldn’t be misunderstood. Clustersing doesn’t simply mean that firms in the same sectors come together. Clustersing approach is a highly important regional development approach and it is one of the leading competitiveness policies in many countries, especially in developed countries. Clustersing is also a means for keeping up with changes, taking measures to increase competitiveness and strengthening the infrastructure. It is a tool for increasing the competitiveness. Networking projects should be carried out not for Clustersing but in order to increase our capacity for competition and export, to be innovative, to keep up with changes and to strengthen our economic development. As is the case for the selection of right investment fields for companies, mechanisms such as analysis methods should be used for the selection of regional Clusterss too. Studies such as sector analysis and competition analysis should be supported with future perspectives of the sectors as well. Distinguished participants, Turkey has a strategic importance in the world due to her geographical position. We would like to transform our geography, which unites the continents of Europe and Asia, into a center of commerce and export. We have begun to work so as to ensure a sustainable economy and export, to encourage an export oriented production and to develop our sectoral skills. We have been making the same efforts for all our regions. In this respect, through the SME Networking Project, we aim to increase the competitiveness of our priority provinces in terms of development, which are within the scope of the Regional Competitiveness Operational Programme, in international markets. The objective of the project is to build Clusters-based sectoral and intersectoral cooperation between our priority provinces in terms of development and the provinces that made progress in terms of development. Thus, it is aimed to ensure that our SMEs are known in the international platform and their export capacity increase. Our project foresees carrying piloting activities that will accelerate the development of regional strategies with a shared vision and the gathering of leading firms in a common platform in order that the dynamics of regional economies are understood and the resources are used strategically. Ensuring the communication and knowledge sharing between firms as well as the coordination between institutions is another feature of the piloting activities of the project. Our Ministry considers Clustersing approach as an important tool for economic development for provision of infrastructure Service to be shared by the firms, which would support the companies in international competition. Our project is funded by the European Union the amount of which is 5 million Euros. The duration of our project is 2.5 years. The EU funding of 5 million €, 1.5 million € of which will be used for procurement, will be used to increase the regional capacities and support the export. Strategies promoting sector oriented regional cooperation will enable our firms to be more innovative, to develop more Service and to compete in global markets. In the light of the regional cooperation strategies, our project will carry out activities through dynamic processes that ensure to enhance local capacities by means of Clustersing and develop tools which help our cooperation organizations provide Service appropriate to the needs. These processes support the development of SMEs whose competitive capacity comes from cooperation. Our goal is to contribute considerably to the regional cooperation, to the SME networks and international competitiveness of our SMEs at the end of the project. Within the scope of our project that aims to develop sector oriented strategies and to carry out activities based on these strategies, the analyses in provinces are currently on-going in order to identify the sectors to be handled as a priority. The first steps of our project will be taken by establishing Clusters Coordination Offices in Samsun, Trabzon, Çorum, Kahramanmaraş and Gaziantep. As I mentioned before, although it has just been three months since the project kicked off, the infrastructure activities for the first step have been completed to a great extent. The project activities will be carried out through Local Clusters Coordination Offices that will be established in Çorum, Gaziantep, Kahramanmaraş, Samsun and Trabzon. These activities will be performed by a professional team that is specialized in the field and that has previously analyzed thoroughly target markets and cooperation with the firms in related regions will be built. Throughout the project, 5 different sector-specific Reports on Cooperation Strategy will be prepared. In the light of these 5 reports, the basis of a new programme for regional development and export will be formed. Then, policy suggestion report will be prepared. Launching and implementing 5 pilot initiatives in order that the above-mentioned strategies can be carried out, and developing a Clustersing package for Cooperation Organizations are among the project activities. Development of National Benchmarking System as a part of the Project will be an important reference for our SMEs and all the institutions and agencies that play a role in the process. Moreover, our current support mechanism for competition and other support mechanisms to be developed during and after the project will accelerate the project activities. We will also continue to develop innovative policies according to the needs through our dynamic, flexible and project-based support approach. These activities are important steps for our country. As a matter of fact, by means of these activities we have been forming the basis for innovative work programmes that would increase the competitiveness of our firms and incentive programs that will promote cooperation and production. At the end of my speech, I would like to emphasize that we have taken a new initiative with reference to a quote from Hazrat Mevlana Jalaluddin Rumi: “Whatever is left of yesterday belongs to yesterday, my dear. Today - a new day, it is time to say new things”. I believe that this project will have significant outcomes for our sectors and SMEs to increase their international competitiveness and to develop their production and export capacities. I hope that our project will be beneficial for all the relevant companies and all the organizations that contribute to the project. Throughout this projects we will work in active cooperation with the Ministry for European Union Affairs, which guides Turkey’s EU accession period in a proactive manner, and the Ministry of Science, Industry and Technology, which brings new visions and a dynamic work environment to SMEs through its active policies. I would like to thank to all institutions and organizations we will collaborate with during the project period, and in partciular to the Ministry for European Union Affairs and the Ministry of Science, Industry and Technology for their contribution. I believe that this project will help new provinces partcipate in “Billion Dollars League” in export and will contribute to the target of reaching 500 billion dolar export. I would like to end my speech by greeting you with due respect.